I hope you are ready to loot and plunder the spoils of the world, at least the world of Wartile. As a team we are extremely proud to have reached this huge milestone and are happy to be able to share it with all you guys. Since our last update we have been focusing on getting as many new features into the game as possible, before the Early Access, while also focusing on stability and accessibility. We have not succeeded 100% in all areas, but we will be spending some energy in the upcoming weeks, to improve the accessibility and communication in the game. Lets take a look at some of the new features. 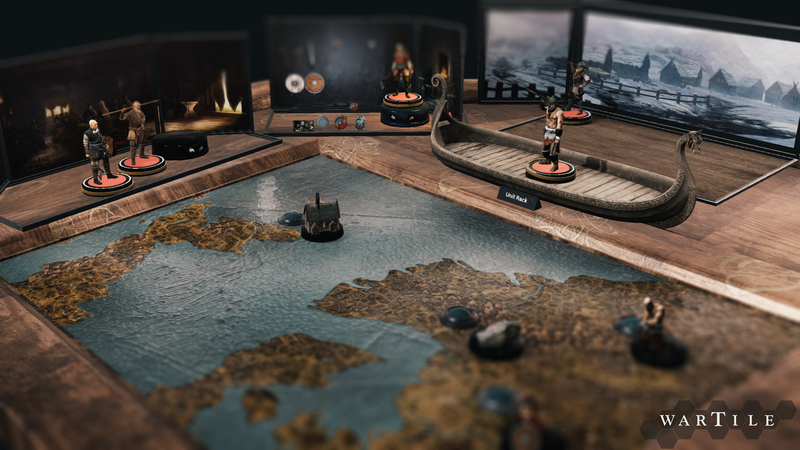 We have made a big art overhaul on the Campaign board, granting each section (figurine customization, figurine collection, card deck and the new Tavern, its own little box, with a fitting background. It’s a great improvement but still far from done. Each battle board now unlock up two new difficulty levels. These difficulty levels should offer the player a steep change in difficulty and I most cases better stats and equipment is needed to complete the higher levels. 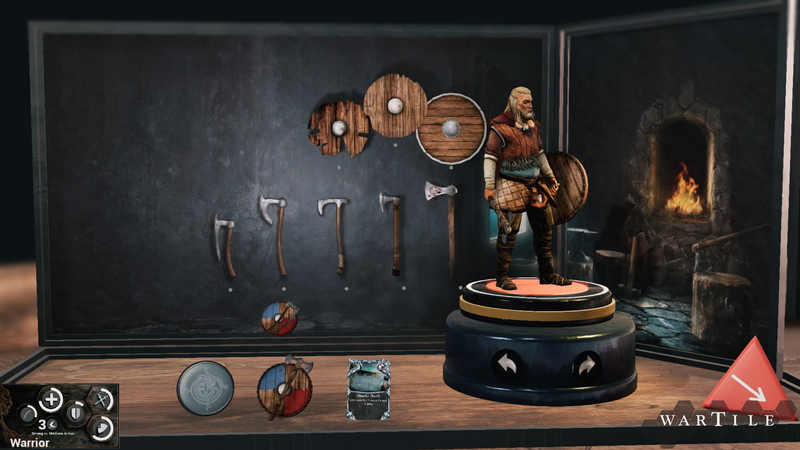 In the tavern, you can now view all the unlocked figurines during your play and if you have the gold to pay them and the fame to impress them you can hire them to your collection of Vikings. Changes to the item setup in the customization section. The relics placed around the maps can now be used to save your progress on the map. If dying later on board, you can choose to load your progress from that way point instead of restarting the whole mission. Most story parts have been changed and we will introduce the main objectives with the main theme “Spoils of the world”. At a later stage, we plan to make unique story strings (objectives) that will lead you through different battle boards, in a effort to complete it. Also to mention some other updates. The armory had a big art upgrade, and changes to its setup. Added a new tactical Card, The Bear Trap. AI units can now also use special abilities. 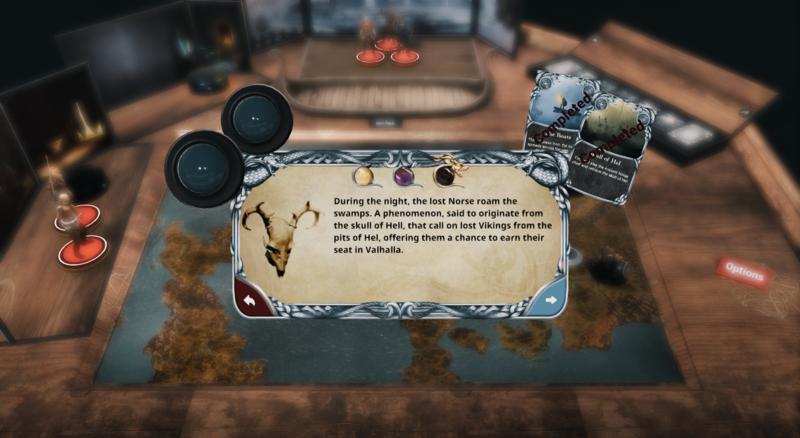 Introduced the Unique items, such as the Skull of Norse. We hope that you will enjoy all the new content at we hope you enjoy it. Will magic other than Relic play apart in this universe? Or is it strictly low Magic world set? BTW this looks utterly fantastic. Dropping my 20 bucks right damn now!!!! !